Denzil will be speaking as part of the Backing the B®and panel at 14:45 - 15:30 - please come and say hello if you see him! PHAR would like to thank everyone who attended and helped launch the world’s first Samsung Smart Ticket music event at GLive in Guildford last night; especially everyone at Samsung, Biffy Clyro, their crew and management. PHAR Music has also put together a series of four shows to showcase the technology. 10 October 2013, London, UK –Today Samsung Electronics UK has announced the launch of Galaxy Studio Live, a series of live gigs taking place throughout the UK using innovative smart ticket technology to improve the experience for music fans and artists, as part of Samsung’s ongoing commitment to live music. The Samsung Galaxy Studio Live tour kicks off with Biffy Clyro on October 28th, followed by Laura Mvula on November 13th, Bullet for my Valentine on November 27th and Bastille on December 20th. The Samsung Galaxy Studio Live tour features the Samsung Smart Ticket app, created to help artists get closer to their fans through smartphone technology. The Smart Ticket app has been designed to improve the live music experience by fair ticketing distribution and removes the need for booking fees. Personalised artist interaction before the event, NFC and cashless technology at the live show, and exclusive content will also be made available to fans the moment the event ends. From the moment fans purchase their tickets they will have access to a host of exclusive content delivered direct to their smartphones, including news, images, music videos, free downloads, community posts and messages from music artists. The Smart Ticket app helps fans get to the event, with bespoke travel information, and to get around easily when they get there, using digital maps and in-venue panoramic wayfinding. The app utilises native handset and platform features including WiFi, GPS, compass, video players and in the case of Samsung handsets, NFC. As part of the live experience the Smart Ticket App creates a unique light show that fans and artists can join in with using proprietary technology from Makelight. This technology will allow fans to hold up their phones during the gig to create a mass of pixels which will form the light show. Fan photos and tweets taken at the live show are tagged and shared with other Smart Ticket devices and screens around the venue creating an interactive experience, while the Smart Ticket app links directly to PayPal and enables contactless payments using NFC at the gig venues. Immediately after the show gig goers will be able to stream, in HD quality, up to five exclusive tracks from the live set they have just watched free of charge on their mobile device, reducing the need for fans to film the event themselves so they can concentrate on the artist’s performance. Music fans can apply for tickets today for all four shows, where they will then be entered into a prize draw, selected at random and then contacted via SMS and email if they have been successful. Once tickets have been purchased users will be directed to download the Smart Ticket app. This works across Android and iOS devices and as a web app on feature phones and other devices. Biff Clyro said “Ticketing on smartphones is a great idea and can hopefully start to combat the ticket touts that rip the real fans off. We are very excited about playing the show and finding new ways of giving people an easier and more fun experience”. Brian Message, Chairman of the Music Managers Forum, partner at ATC Management, Laura's management company said, “At the MMF we have believed for a while that the smartphone is the key music device of the future. Market penetration is sufficiently high and the devices have widespread support from both the traditional and emerging music businesses. 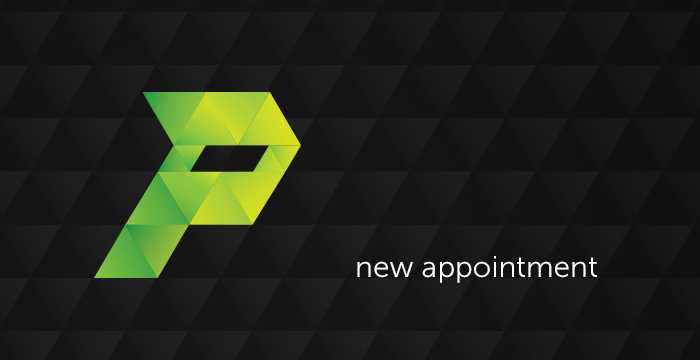 PHAR Partnerships, a rapidly growing international media and marketing business with over 40 staff in 6 countries, today announces the addition of a senior member to its expanding team. Denzil Thomas in his role as Managing Director at PHAR Music will head up a new division focusing on Branded Music Partnerships. The hire signals an important move into a new area of business for PHAR, the division will offer expert advice on how brand associations can be structured in this complicated area to achieve their full potential. Denzil Thomas joins from leading UK integrated marketing agency Billington Cartmell, where he has been Business Director Music for the last 5 years. With 18 years’ experience in branded music associations, working at the Mama Group, the NME and as an independent, Denzil is recognised as the industry’s leading expert in this area. Denzil is a veteran of over 100 music campaigns, having recently devised award-winning solutions such as Lexus and Kylie Minogue, Lucozade ‘7 Artists’, the Sennhesier Labrinth challenge and the first ever ticketless festivals in Europe with Samsung. He has previously launched campaigns and worked as a music strategist for Disney, Unilever, Vodafone, Carlsberg, Kraft, LG, Orange, Diageo, O2, Coca-Cola and Barclaycard, to name just a few.